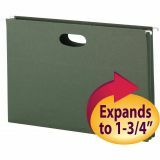 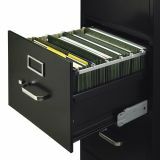 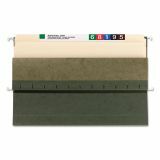 Smead Hanging Pockets w/Full-Height Gusset , Legal, 1 3/4" Exp, Standard Green, 25/Box - Hanging file pockets are designed to store large amounts of paperwork on a single subject that needs to be frequently removed from file drawers. 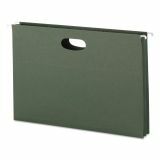 Sturdy sides and bottoms expand to hold up to 1-3/4 of material and keep papers from falling out when files are being transported. 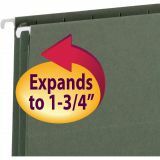 Front panel is scored for easy access. 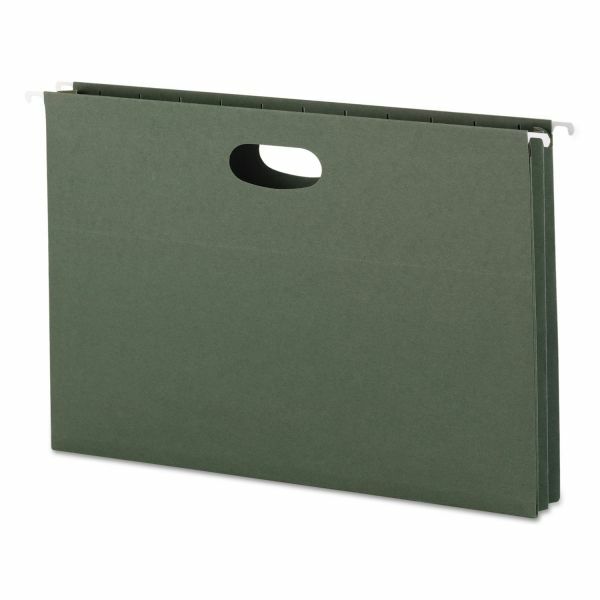 Hanging file pockets offer full-height gussets to safeguard contents and coated rod tips. 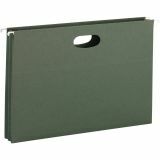 Inside panels slotted front and back to accept tabs. 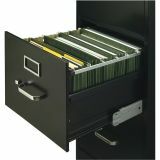 Tabs are not included.